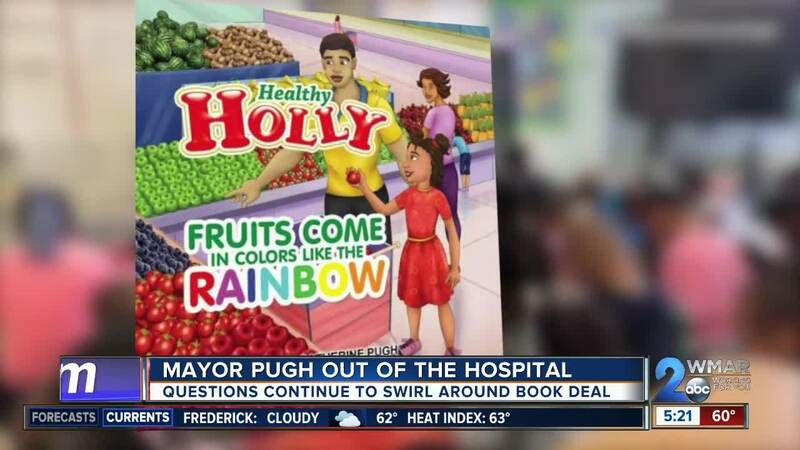 Mayor Pugh never completed registration of the Healthy Holly title with an international standard book number before making sales. BALTIMORE, Md. — After revelations of possible conflicts of interest, Maryland House Speaker Michael Busch is raising the stakes on University of Maryland Medical Systems Board, adding an amendment to new legislation calling for the resignation of all members, including himself, by June. It's a clean slate and a good first step says, Senator Jill Carter of Baltimore City, who initially introduced the bill. “I think it is the right thing to do to start with an all new board in July as what the legislation calls for, and we are looking forward to more reforms and more accountability,” Carter said. The goa, Carter says, is to restore public trust of a board that receives state money. The oversight is needed, she says, after the appearance that some members were benefiting from their positions, including Baltimore Mayor Catherine Pugh. Pugh received $500,000 from the board for 100,000 copies of her children's book series, "Healthy Holly." On her public Facebook feed, you can see the mayor reading one of her books to a class at Leith Walk Elementary School last year in Northeast Baltimore. All the children in the video seem to have a copy of "Health Holly: Fruits Come in Colors Like the Rainbow." “This book is written by Mayor Catherine Pugh,” the mayor said to the children as she held up her book. “That's your name!” a student exclaimed. But despite the copies in all the children's hands last year as they posed for a picture with the mayor, tens of thousands of copies of the original six-figure order have yet to be located. WMAR 2-News has also learned Mayor Pugh never completed registration of the Healthy Holly title with an international standard book number. The ISBN is a unique number and identifier on the back of every book. Publishers purchase the numbers, then register them for commercial sales. The agency here in the United States says Mayor Pugh bought a block of ten ISBN numbers, but the one on the back of at least this first "Healthy Holly" book, was never fully registered. It raises yet another question about the UMMS story, which the Governor called a mess.